Youva Wax Crayons have super bright colours and include 'Natural Glitter' shade in it. Apply a 'Natural Glitter' shade on any colour and create wonderful effects with your pictures. For more brighter effects use 'Fluorescent colour shades'. 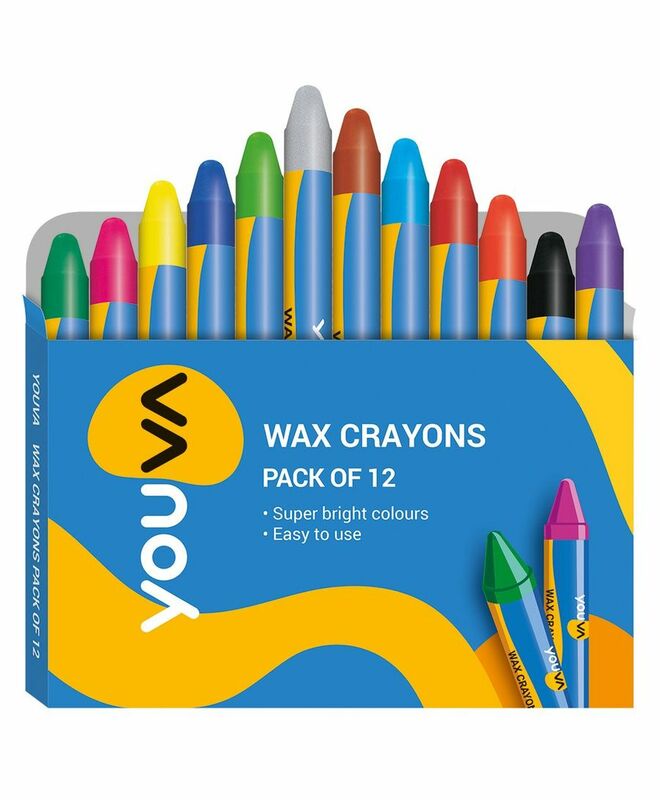 These crayons are extra smooth and perfumed with anti-smudge properties. Bold wax crayons are completely thicker in size and give better grip. Not meant for blending.